During this episode, we reivew another duo of Alan Tam flicks and see if we’re willing spokespersons for Team Tam this time around. 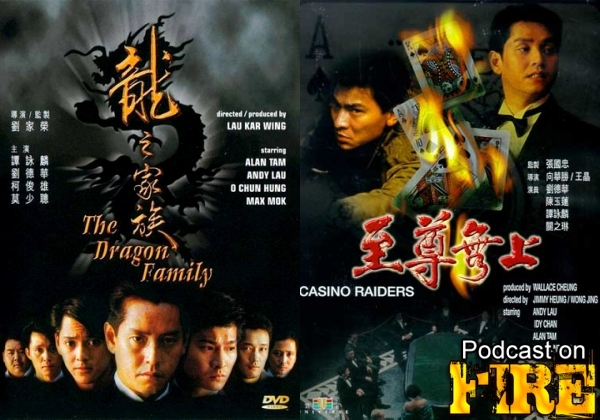 They come in the form of Lau Kar-wing’s 1988 gangster actioner The Dragon Family starring everyone and Alan Tam. And in the second half we take a look at a movie that many forget when talking the late 80s gambling genre in Hong Kong: Wong Jing and Jimmy Heung’s Casino Raiders from 1989.